Embutido Filipino Recipe. Embutido is one of the most favorite dish during special occasions like weddings and christenings in the provinces. For stay home moms, embutido is also one of the most favorite food they prepare for the “baon” or pack lunch of their kids who go to school. It’s nutritious, easy to and every kid’s favorite because of the tasty flavor. Commonly paired with banana catsup or mang tomas all-purpose sauce or sometimes just plain embutido, a simple meal becomes a hearty one with this delicious Filipino food. 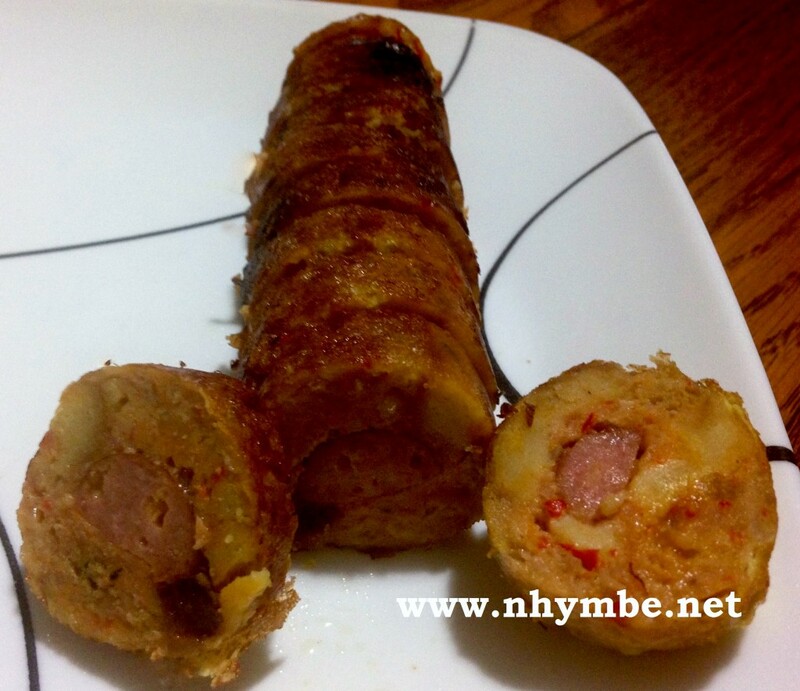 1) Mix all together the ingredients thoroughly except the hotdog. 2) Cut 4 pieces of aluminum foil into about 10×12 inches. 3) In a steamer, put 3 cups of water and boil. 4) While waiting for the water to boil, put 4 tablespoons of ground pork mixture onto aluminum foil and form it into about 4-5 inches long. 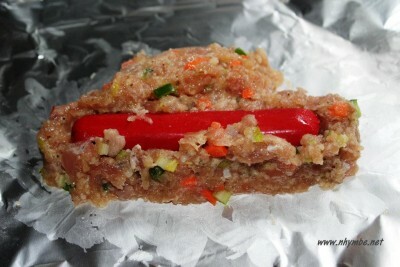 5) Put the hotdog at the center of the formed mixture and eventually cover it with the mixture. 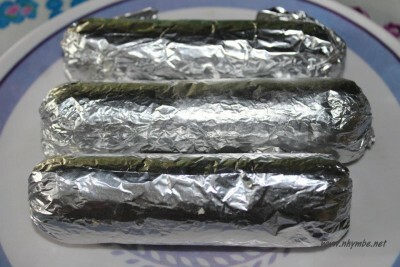 6) Wrap it properly and seal both sides of the aluminum foil. 7) Put the wrapped embutido into the steamer and steam for about 30 minutes.